They say things are always better when they come in twos. 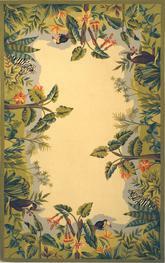 Why should it be any different when it comes to dressing up your floors? 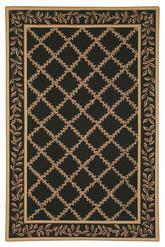 Sets of hand hooked rugs can help protect your floors, add style to your décor, and provide a sense of continuity to any room. 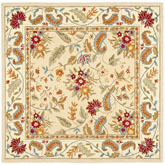 For example, use two hand hooked rugs in the bathroom to make tile floors cozy when placed under his and hers sinks. 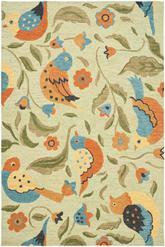 You can pull off the same idea with rug sets in your living room or family area. 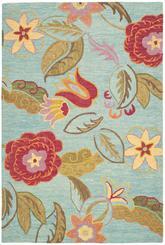 Use cozy and stylish wool hand hooked rugs to bring a snuggly and warm feeling to hardwood floors. 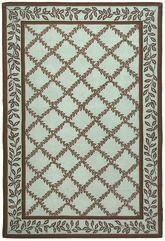 Indulge in matching pairs of cotton hand hooked rugs for unbeatable softness in the bedroom. 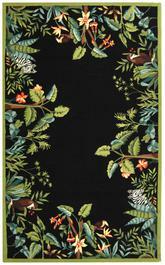 Make your daughter’s play area worthy of any princess with a pink hand hooked rug. 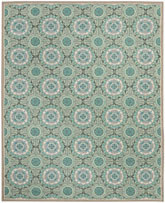 Pick up your rug sets for any room in your home today at Boldrugs. 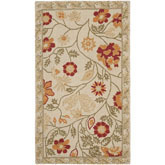 Bathroom rug sets, area rug sets, and more are all offered at a discount! 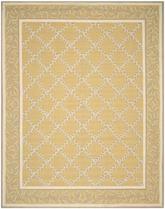 If you’re in the market for a beautiful and delicate area rug with a detailed pattern that hearkens back to old decorating traditions, hand hooked rugs can help you create the look you want. 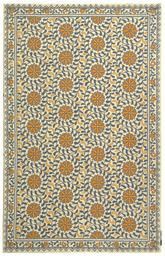 Sometimes referred to as oriental rugs, these beautiful pieces of interior décor have turned up as antique textiles as well as modern-day reproductions of classics. 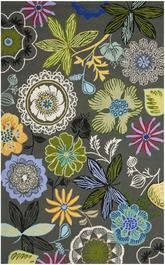 They’re mostly available in more traditional styles, but you can sometimes find more contemporary patterns and styles to choose from, as well. 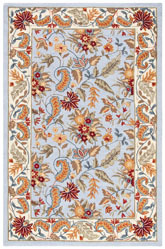 More and more commonly, these rugs are being used to create transitional spaces that connect modern styles with traditional materials. 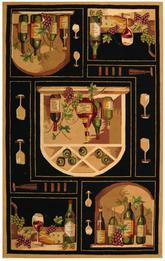 What are Hand Hooked Area Rugs? 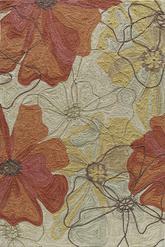 So what is a hand hooked rug? 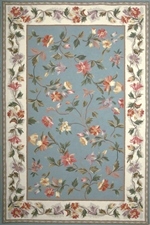 Hooked rugs have a unique appearance that makes them fairly easy to recognized amongst other types of area rugs. 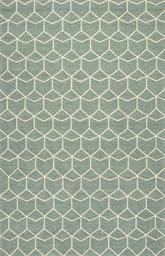 They don’t have a pile—like a shag rug does, for example—but instead are made of hundreds of little “bumps” of fabric that combine to create the plush softness and often very intricate patterns found in these rugs. 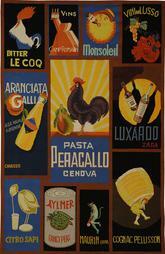 They are most commonly made in China, but they may also come from other parts of the world, as well. 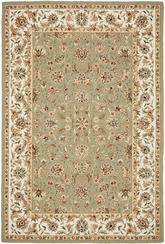 Because of their short pile, they have a longer lifespan than many other handmade rugs such as hand looped and hand knotted varieties, but they still may need to be kept out of high-traffic parts of your home to help preserve their beautiful colors. 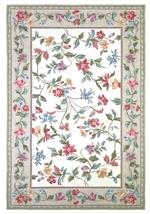 Wool hooked rugs are some of the most common on the market, but these rugs may also be made from silk as well as synthetic materials such as nylon and polyester in some instances. 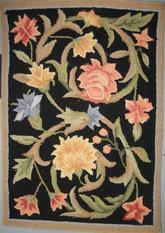 Traditional hand hooked rugs look like they are made of very fine embroidery, which makes them very expensive in turn. 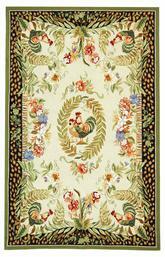 It takes a lot of effort and a lot of time to create one of these rugs, and this style also requires a lot of fiber. 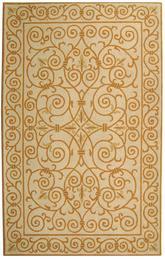 They are not low-budget rugs, but because of their intricacies and delicate design, they can be an incredibly beautiful addition to any room in your home. 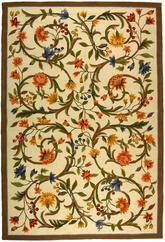 Hand hooked wool rugs and hand hooked rugs made of other types of materials can all be found in pretty much any size you’re looking for. 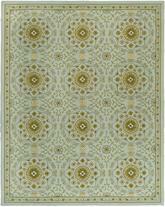 The size you choose depends entirely on the type of space you’re looking to create with your rug. 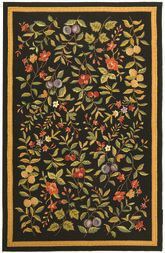 For example, will you be using your hand hooked rug to put together a cozy little reading nook in your bedroom or a small sitting area in your living room or parlor? 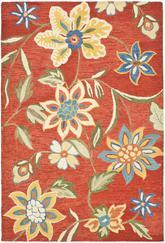 If so, you should stick to smaller sizes, such as 4x6 or 4’ round area rugs. In some instances, you can even use 2x8 runners in these situations to help create a visual border between one section of a room and the next. 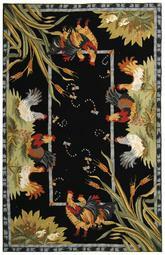 On the other hand, if you want your rug to really make your guests stop and take notice, stick to the larger sizes. 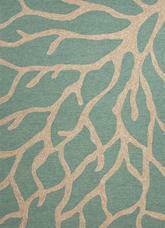 10x12 and 9x11 area rugs are great sizes to work with when you want to make a splash with your design choices. 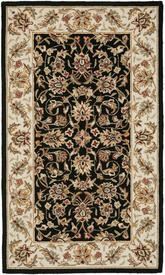 These hand hooked rugs may cost quite a lot, but if you have it in your budget to spend this much on a rug, you can get something incredible that’s sure to be a lasting part of your home for many years to come. 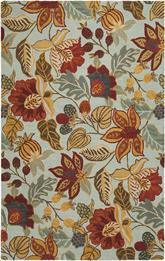 Larger round hand hooked rugs are also available, and they can be a fun way to create an elegant transitional space. 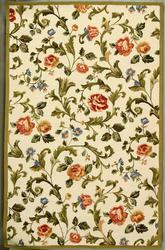 What Shapes of Hand Hooked Rugs are Available? 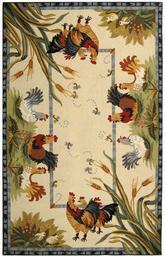 Hooked area rugs come in many different shapes to go along with their variety of sizes. 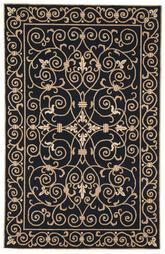 For a very beautiful, elegant, and traditional room, stick to square and rectangular rugs for best results. 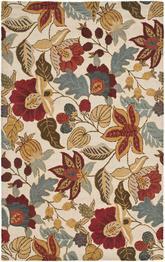 These rugs bring to mind very traditional and even antique pieces that were hand crafted long ago. 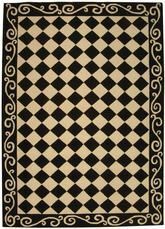 If you want to imply this type of style without devoting the amount of space it would take to use a large square or rectangle rug, try using runner rugs with traditional patterns instead. This can help you create a unique look all your own. 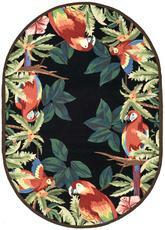 For a more contemporary space, try oval hooked rugs or even octagon shaped rugs for fun and stylish results. Hooked rugs can be found in both of these shapes, and they look just as beautiful as do their nontraditional counterparts. You can also use round rugs in floral or simple geometric print patterns to create a transitional room by sticking to traditional designs coupled with a more modern and contemporary shape. 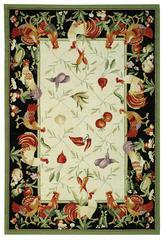 There are endless possibilities when it comes to buying the right hand hooked rug for your home. 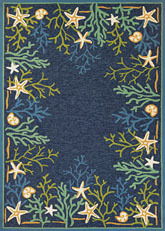 What is the Best Room for Using Hand Hooked Rugs? 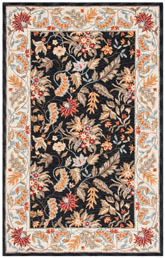 Hand hooked rugs look beautiful no matter where you use them, but they work better in some rooms of your home than in others. 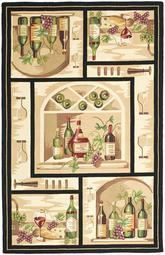 For example, you probably wouldn’t want to incorporate one of these rugs into your kitchen, simply because they’re very delicate and can be difficult to clean. 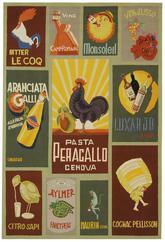 If any food should get spilled on your hand hooked rug and cause a stain, you might never be able to get it out. 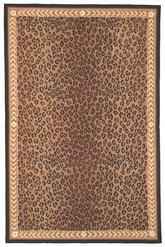 You also would never want to use one of these rugs outdoors or even in direct sunlight in a sun room. 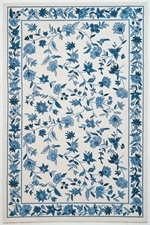 You can use them in the dining room as long as you keep them far away from the table and anywhere food may be spilled. 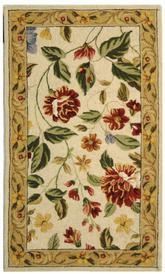 For best results, stick to using your hand hooked rugs in the living room or bedroom. They make stunning living room centerpieces, and they can really bring your bedroom together as well, whether you choose to use a larger rug or go with smaller accent pieces for a cozier and warmer space. 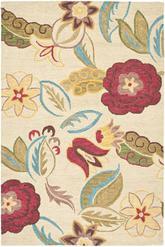 Both of these rooms can become very elegant spaces when you incorporate a hand hooked rug into your designs. 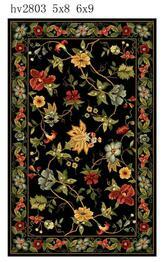 There are many different kinds of rooms you can put together by working with a hand hooked area rug. 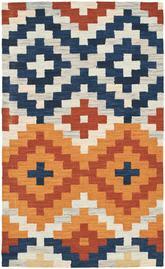 These rugs are beautiful and available in many shapes, sizes, and patterns, but it’s a good idea to take extra care of them if you do own one. 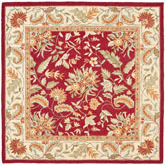 Especially if you have a hand hooked rug made of silk or wool, be sure to perform regular, careful cleaning and maintenance on this beautiful piece of décor in your home. 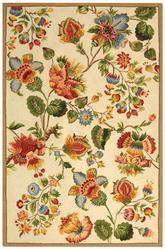 Take care not to place it in a high-traffic area and you’ll be able to enjoy this elegant rug for many years to come.